Minnesota We the People… the Citizen and the Constitution fosters understanding of the institutions of American democracy, including the Constitution and Bill of Rights and our democratic system of government and its function. It is supported by a high school ebook and traditional textbooks produced by the Center for Civic Education. There is no participation fee for the Minnesota We the People Competition and Showcase event. A grant from the Civic Education Program, Legacy Amendment, Arts and Cultural Heritage Fund helps support student transportation costs to St. Paul, teacher substitute costs, and lunch expenses. Students engage in rigorous study of the Constitution, participating in interactive lessons and studying current issues. They build skills and knowledge required by the new Minnesota Social Studies Standards. challenges we face in the 21st century. Students participate in an engaging, simulated congressional hearing in which they “testify” before a mock congressional committee of other students or volunteer attorneys, educators and civic leaders. 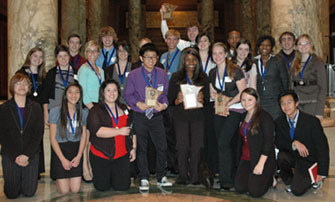 (Optional culminating activity) Teams of secondary school students participate in the Minnesota We the People Showcase and Competition at the State Capitol. In a simulated congressional hearing, each team explores important questions related to the content of one unit of study. Classrooms that have a team participating in all six unit simulated hearings may apply to represent Minnesota at the national We the People Competition sponsored by the Center for Civic Education, April 27- May 1, 2018 held at the National Conference Center in the Washington, DC area. More information on the national competition. 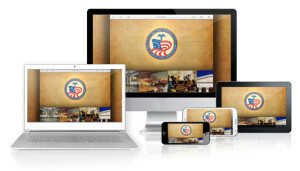 Created in 1987 in celebration of the Bicentennial of the U.S. Constitution, over 28 million students across the country have participated in this innovative and acclaimed program. We the People: the Citizen and the Constitution We the People ebook The Center for Civic Education publishes We the People: the Citizen and the Constitution. Some teachers use this curriculum as a course textbook while others supplement other textbooks with We the People’s expanded instruction in the Constitution and Bill of Rights. Although the three levels of curriculum are suggested for grades 5-6; 7-8; and 9-12, the levels can be used to support differentiated curriculum efforts. We the People Level 1 Sample Lesson What is a Republican Government?